I read this article and found it very interesting, thought it might be something for you. The article is called Hindi Added 100Mn Speakers In A Decade; Kashmiri 2nd Fast Growing Language and is located at https://archive.indiaspend.com/cover-story/hindi-added-100mn-speakers-in-a-decade-kashmiri-2nd-fast-growing-language-93096. 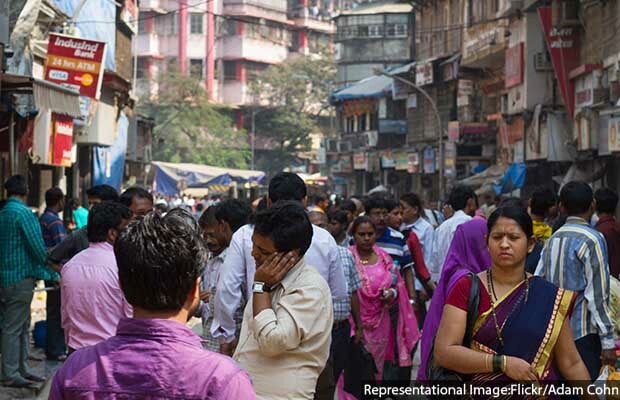 Mumbai: Hindi was the fastest growing language in India at 25.19% adding close to a 100 million speakers between 2001-2011. Kashmiri (22.97%), Gujarat (20.4%), Manipuri (20.07%), and Bengali (16.63%) are the second, third and fourth fastest growing languages, respectively, according to new census data. Hindi (520 million speakers) and Bengali (97 million speakers) remain the most spoken and the second most spoken language across the country. There are now 260,000 people who deem English as their mother tongue; up from 226,000 in 2001, an increase of 14.67%. The most number of English speakers are from Maharashtra (104,000) followed by Tamil Nadu and Karnataka. Sanskrit remains the least spoken among the scheduled languages – officially recognised – with 24,821 speakers despite an increase of 76% from 2001. Two scheduled languages have witnessed a drop in the number of people referring to them as their mother tongues: Urdu declined by 1.58% and Konkani by 9.54%. Of the 99 unscheduled languages, Bhili/Bhilodi continue to have the most speakers (104 million marked it as their mother tongue), up from 95 million in 2001. Gondi retained its second position with 29 million speakers, up from 27 million in 2001. Bhili/Bhilodi is predominantly spoken by the Bhil people who are native to Gujarat, Rajasthan and Madhya Pradesh. Gondi is spoken by the Gonds who primarily inhabit Madhya Pradesh, Gujarat, Chhattisgarh, Orissa, Uttar Pradesh, Andhra Pradesh Telangana, Maharashtra, Bihar and Karnataka. Tamil (-5%) and Malayalam (-10%) speaking population are falling across most states in north India even as Tamil Nadu and Kerala saw over 33% increase in the number of Hindi, Bengali, Assamese and Odia speakers, indicating a reverse migration trend from earlier decades when people from the two southern states migrated in large numbers to the north, The Times of India reported on June 28, 2018. “Ascertaining the number of native speakers of a particular language by using census data can be misleading,” Ganesh Devy, founder-director of the Bhasha Research and Publication Centre, told IndiaSpend. Articles 344(1) and 351 under the eighth schedule of the Constitution lists 22 languages (shown in the table below). The Central government is responsible for the promotion of the scheduled languages. Non-scheduled languages like English, Bhili/Bhilodi and Gondi don’t feature on the list. In 2011, speakers of the scheduled languages accounted for 96.77% of India’s population, up from 96.52% in 2001 despite a 13% increase in the number of non-scheduled language speakers between 2001-2011. Marathi with 83 million speakers displaced Telugu (81 million) to become the third most common mother tongue after Hindi and Bengali. Gujarati, which was ranked seventh in 2001 with 46 million speakers, moved ahead of Urdu to occupy the sixth spot with 55 million speakers in 2011. Urdu dropped from the sixth place in 2001 (51 million speakers) to the seventh place in 2011 with 50 million people mentioning it as their mother tongue. Kannada was constant at eighth place with the number of speakers increasing from 37 to 43 million. Konkani speakers in Karnataka and Kerala might put Kannada/Malayalam as their mother tongue as opposed to Konkani, which could explain the drop in the number of Konkani speakers, Devy said. The increase in Manipuri speakers, Devy added, could be attributed to international immigration — foreigners settling down in Manipur and learning Manipuri in the hope of getting an Indian passport. The number of Gujarati speakers might have been over-reported owing to the electoral scam in 2007 wherein a large number of fake voter identification cards were reported, Devy said.